This entry was posted in Transition Metals, View All Elements and tagged Lona. 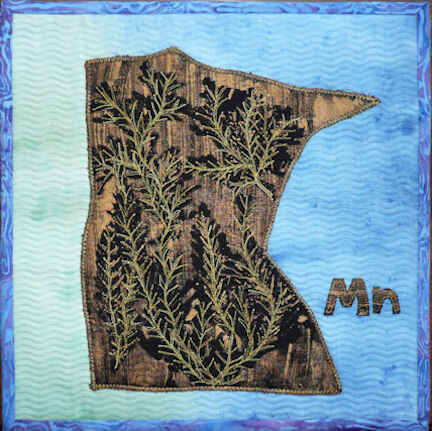 It’s interesting that you chose to put green plants on the MN state map. The oxygen produced by photosynthesis in green plants is formed at a place in the photosynthetic machinery where there are four manganese atoms. Those four Mn atoms constitute the core of what is known as the oxygen evolving complex. Cool!